A sleek, angular skyline of glass and neon may define downtown Dallas, but it is the sprawling vastness that leaves new residents and visitors in awe. As the nation’s fourth-largest metro area, Dallas covers roughly 343 square miles. Dallas is a big city with even bigger statistics. The city has more shopping centers than any other in the US, it is home to the world’s largest bronze monument, and it boasts a convention center big enough to fit an entire baseball field inside. Everything really is bigger in Texas, and that’s especially true in the city of Dallas. Dallas is part of the unique DFW Metroplex, the only metroplex in the nation. Large, busy, bustling – when you become a part of this metro area, you’re never far from entertainment – or from any other city in the country! A four-hour flight from the DFW International Airport or Love Field will take you to any major US city. But once you’ve found an apartment in Dallas, you may not want to leave! This city has amazing entertainment, several Fortune 500 companies, and the one-and-only Dallas Cowboys! Ready to live big in Dallas? 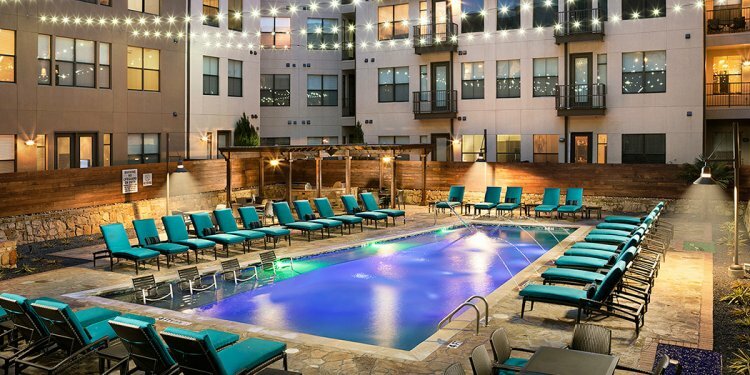 Here’s everything you need to know about Dallas apartments, the Dallas lifestyle, and the city’s amazing destinations. From catching a performance of the Texas Ballet at the AT&T Performing Arts Center to watching a sporting event at American Airlines Center to shopping at Trader’s Village (the most popular flea market in Texas), Dallas truly has something for everyone – and then some. Visit Southfork Ranch, where the famous TV show, Dallas, was filmed.